After a very sucessfull exhibition at the Presteigne Assembly Rooms, we are back to the Museum and open for the August Music Festival and September Hereford Art week when we will be slowly changing over the exhibition putting away the costume and getting out more Blankets and Carthenni, and other examples of weaving . The small loom is now standing and ready to be warped up so we will be looking at some of our favorite Carthen and deciding on the warping colours, and hope to start weaving once h,Art is over. 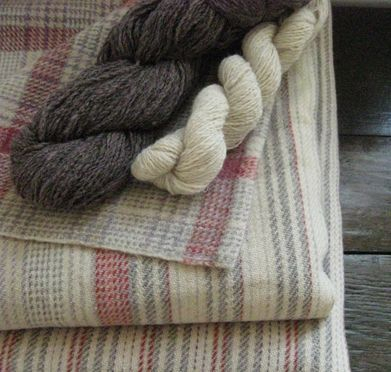 In Autumn we hope to be able to start the Dyeing Classes so will be working on the plant dyed Reds and Mauves seen in many of the early blankets. We will also be continuing to work on the Maping Project where by we hope to find more details about some of the old mills scattered throughout Wales and pinpoint their location on the map in the hall. Next year we hope to get out and photograph some of the sites. Sadly many of the smaller mills have now dissapeared, having been either knocked down or converted into dwelling houses. Many of those with water wheels have been recorded, however little is known about what they produced our aim is to try to fill in some of the gaps. Meanwhile classes at the Old School will continue, scheduled for autumn will continue, we will be re launching the 10 traditional techniques used in Welsh Patchwork and Quilting , following up by exploring the Indian and Japanese traditions of Kantha and Boro Quilting. we hope in spring to have two more looms set up so weaving will then also be on the list for future classes. For Museum opening times after the festivals please check with us before seting out, but we hope to be open Sundays and Mondays up untill Christmas. The Museum and Gallery will be open on Sundays and Mondays from the 16th to the 31st with a new exhibition of Artists Work and a lovely sellection of Local Knitwear perfect for a little last minute present shoping, there will also be a selection of vintage Welsh Blankets for sale in the Museum Shop, all procedes from blanket sales will be going towards the Museum Project as we have some more wonderfull exhibits to restore for next years exhibitions. We will be closing the Museum over winter to get on with some more work on the building and hope to get the Kitchen finished for the Spring Opening, .... However we do hope to be holding some classes over the winter so please do inquire if there is anything that interesrts you and please remember that you can allways book us to come out to give talks and demonstrations or bring a club or group to visit in which case we are happy to arrange special opening hours to suit. Of course with Tea and Cake provided.